Time makes a mockery of most predictions. Once derided as the tools and hobbies of hopeless shut-ins and intellectual ivory tower sorts, social media sites such as PayPal, Facebook and LinkedIn have become the home of an entirely new, powerhouse economy. Where hundreds of years of war and diplomacy have failed, social media marketing has succeeded in bringing people around the globe together in the pursuit of common interests and open markets. Social media marketing is the home of successful brand promotion and finding the right mix of tools to take advantage of it has become the defining issue of the modern brand. When people refer to SMM tools, they are discussing a host of applications and programs that allow real-time and long-term feedback on the performance of their social networks. This kind of information goes beyond the purely mechanistic approach of SEO and website performance, moving into the realm of genuine social engineering. Social media tools can track the number of times a brand is being mentioned across each network, compare traffic between networks, determine where the buzz is starting and which path it took to get from, say, Digg to Facebook. Knowing the focus of each of these tools and the best way to use them is the key to bringing all this power under control and using it to help promote a brand to its full potential. TweetDeck is an excellent platform for brands to manage social networks. A simple, efficient, all-in-one approach makes TweetDeck very useful for getting updates out quickly to a number of locations. TweetDeck supports Facebook, Twitter, MySpace, GoogleBuzz, LinkedIn and Foursquare, giving a user easy access to all of the major networks. Users can send out status updates to any or all of these at once, allowing unified messages to be spread in a single step, without the potential to forget one. However, it does have its limitations. Very heavy traffic to multiple accounts can slow down its efficiency, making it more of a startup and middleweight tool than a long-term solution. Similar to TweetDeck in that it is targeted toward smaller businesses, HootSuite is an alternative tool that allows for several levels of customization. For starters, the basic package is free, and will support five networks of the user's choosing. 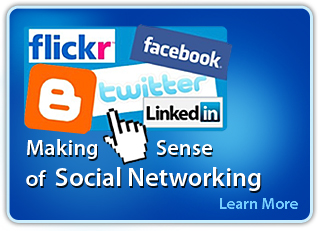 Currently available platforms include Twitter, WordPress, LinkedIn, MySpace, FourSquare, Facebook and PingFm. Upgrading to paid subscriptions allows additional networks to be included. HootSuite really shines because it offers steady "streams" of information about each of the user's networks, allowing the aforementioned real-time monitoring of web traffíc. If a particular network is flagging or performing particularly well, it will be brought to the manager's attention. Further, HootSuite provides user bios and links to various users' social networking profiles, allowing a brand to tailor its content to the needs of the market more efficiently. The information is a bit limited in the default package, but even upgrading to the $5.99 a month subscription brings a great deal more detail to hand. For larger businesses looking to make their mark in the social networking world, Engage121 offers a number of more powerful options. This is a program for professional social networking managers, because it is entirely customizable to the exact needs of a business. One of its touted features, for example, is the ability of a local office to examine, modify and approve messages from the central branch. In this vein, a generic message can be sent out about company directives, while allowing each branch to add or delete content based on the relevance it has to their own particular mission. Thus a large clothing chain won't waste time sending out messages about their new swimwear line to their regional users in Alaska. However, it has to be stressed once again that Engage 121 is not a tool for beginners. The sheer number of options can be daunting to put in the hands of an inexperienced manager. It's best to give it to someone with a great deal of skill under his or her hat who can provide a specific plan of attack for using this tool. As a broader consideration, there's no reason to limit oneself to any one of these applications, or indeed any of their competitors. A sound SMM strategy might, in fact, use several programs at once, either to get multiple sources of information or to test out which works best for a given company's needs. Then as the brand grows and needs grow, the manager can move up to more robust software and applications that better service the needs of the company. Above all, remember the axiom that these tools are based on the need to promote communication between brand and audience. They are not meant to reduce the users of the network to data that can be analyzed and directed - these are people with their own minds and agendas, who will respond in kind if they feel slighted or taken advantage of. Instead, they should be used as a way to get information about what people want to talk about, and to build a brand's reputation. find a lot of your post's to be just what I'm looking foг. I wouldn't mind composing a post or elaborating on a few of the subjects you write with regards to here. Again, awesome website!